We've recently dsiscovered that Luke loves books. 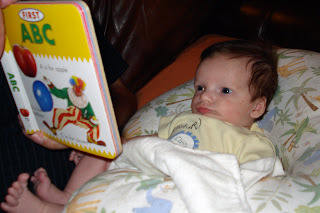 He stares at the pages and interacts with you when you describe the pictures. 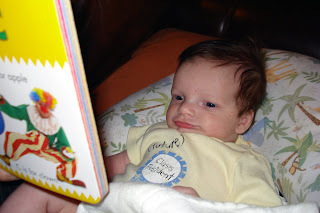 Here are a couple of pictures and a video of Luke reading with Grandpa last night.